Atelier 7 is refined, sophisticated and elegant. This contemporary chair features crisp, tailored styling and spring down seating paired with beautiful fabrics and a polished nickel drop pull adorned with Swarovski® Elements. 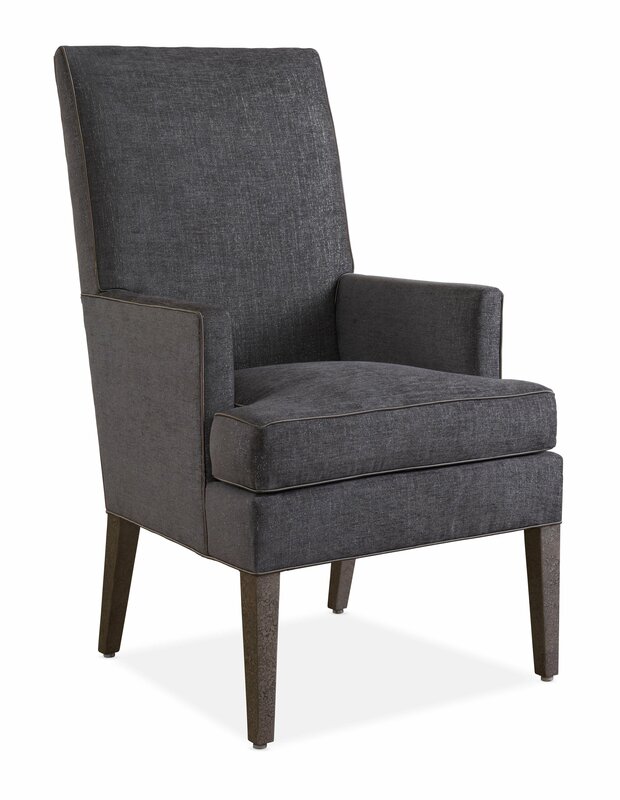 Atelier 7 has a tall, slender back accentuated with a crisp welt detail.. The welt trimmed spring down seat cushion is semi-attached. The crisp welt detail continues framing the seat decking underneath. The fabric is a plush, platinum chenille with silver metallic yarns and a contrast sateen welt in dark platinum. A polished nickel rectangular drop pull adorned with 14 Cosmic clear crystals, 8 mm each in size and 3 center Cosmic clear crystals, 10mm each in size adds a refined element of glamour and sophistication. An exquisite metallic finish call Mica completes this stunning chair.